When finished, it's a good idea to set the object variables to Nothing and release the memory being used by the application. If the referenced version of Word does not exist on the system, then an error message appears. 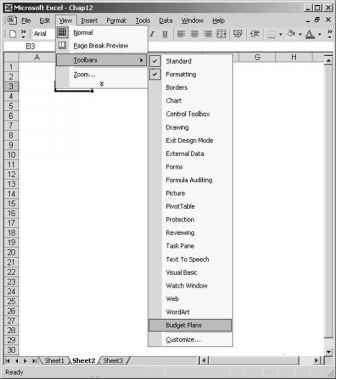 View the Reference List and the missing object is highlighted with the words "MISSING" (see Figure 16.3). 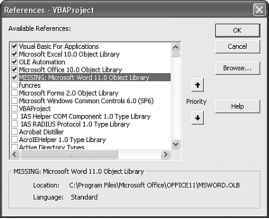 If a previous version of Word is available, you can try running the program with that version referenced. Many objects are the same between versions. Excel cannot compile if references are missing.